If you're ready to learn more about the Galaxy S10 and find out what we could look forward to next February, here's everything you need to know. Beyond 1 and Beyond 2 will be similar to older S flagships with the former having a flat screen while the other has Samsung's iconic curved display. Beyond 3 is where Samsung's putting all the marbles, with things like a larger screen and triple camera system on the back. Beyond X is expected to come out a few months after the first three phones and act as a special edition smartphone in honor of the 10-year anniversary of Samsung's Galaxy S lineup. Rumored specs for it inlcude a 6.7-inch display, a total of six cameras, and support for 5G data speeds. When will the Galaxy S10 be released? Save for the Galaxy S8 that was announced at its own special event, Samsung usually unveils its Galaxy S flagship phones during Mobile World Congress each year. On July 5, reliable leaker Ice Universe said that the S10 will be unveiled at MWC — just a month before the Galaxy X. On November 20, The Wall Street Journal also confirmed that Beyond 1, 2, and 3 will be revealed at some point in February. 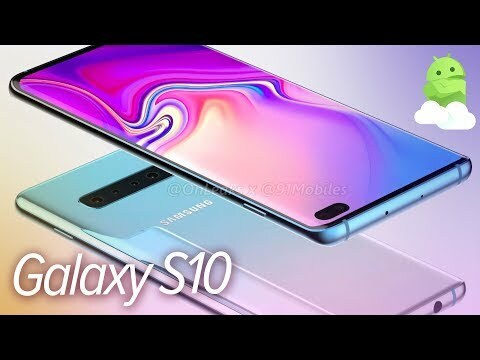 Most recently on December 4, Gizmodo UK reported that the Galaxy S10 series will get its unveiling a few days before MWC on February 20 with pre-orders opening that same day and an official launch scheduled for a few days later on March 8.